Here at the polo festival on the Shandur Pass. 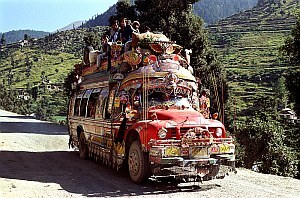 Another icon of Pakistan: the over-the-top decorated Bedford trucks. 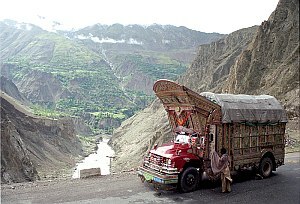 Here on the Karakoram Highway (KKH). 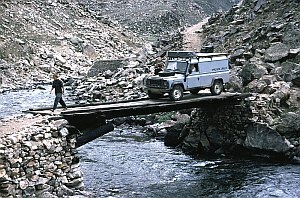 One of the obstacles of the extremely dangerous road through Kaghan Valley. 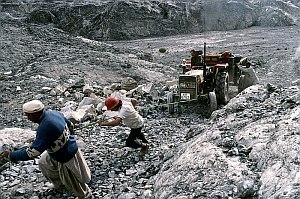 In 2003 the road to Shimshal was not finished yet, and a few tractors where the only mechanised vehicles in the valley. 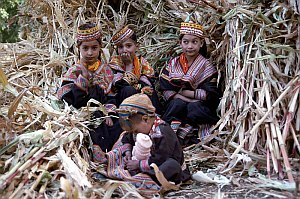 Children in the Kalash Valley. 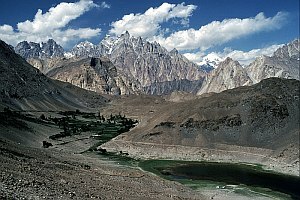 Borith Lake, a superb camping spot not far from the KKH. View in Google Earth. 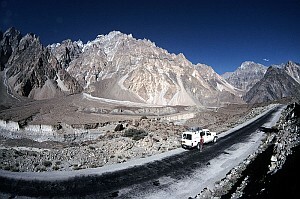 The Karakoram Highway with the Passu Cones. View in Google Earth. The Girdas Pass at 4300 meters, marks the end of the awesome Kaghan Valley. 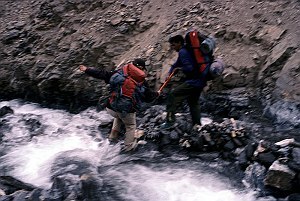 Trekking in Pakistan is not as easy as in Nepal. 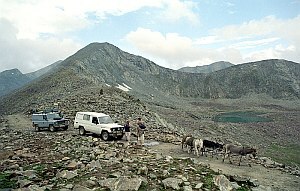 Rockcrawling at the road to Naltar valley. 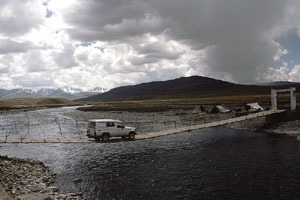 On the road to Deosai Plains: difficulties with a bridge cable. 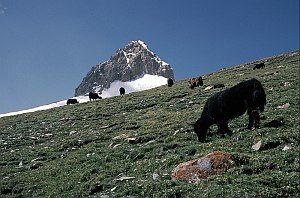 Yaks above the Shimshal Pass. 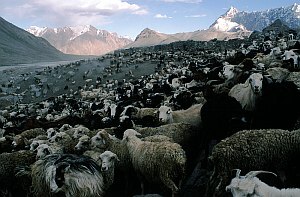 Goats at the small summer village at Shimshal Pamir, 4700 meters above sea level. Not a Nepali teahouse trek! 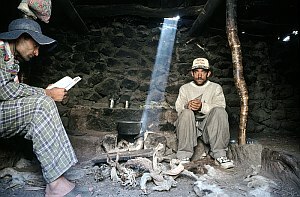 Staying overnight at a shepherd's shelter in Shimshal. 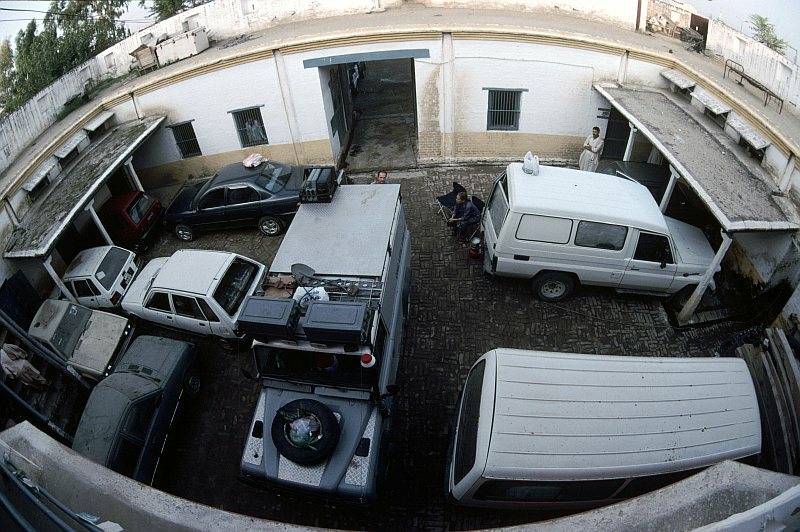 An odd place to camp: at the police station of Tahkt-i-Bahi next to the prison. Public transport by Bedford. 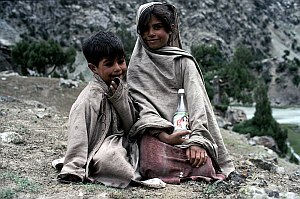 In Swat valley. 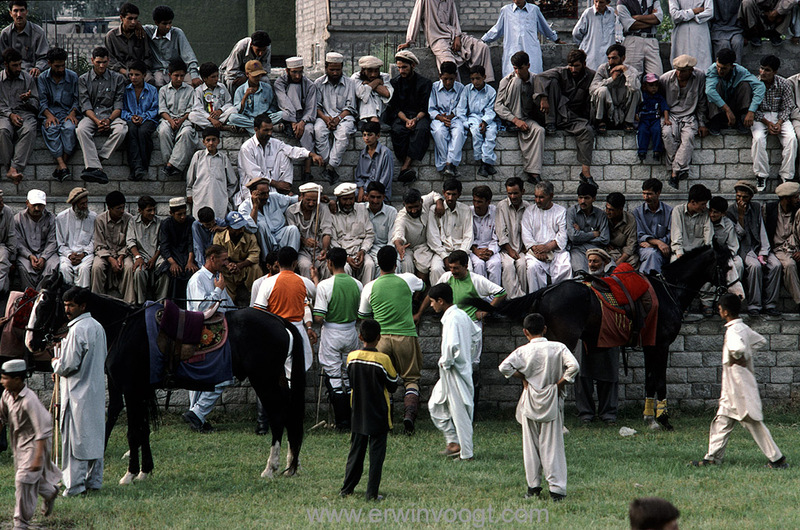 The most popular sport in the Northern Areas: polo. 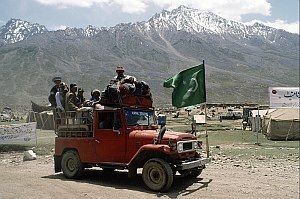 This picture is taken in Gilgit on 14 August 2003, Independence Day of Pakistan. 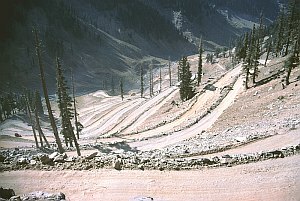 The Lowari pass (3118m) on the road to Chitral. 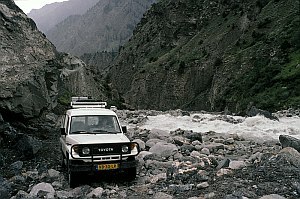 Currently still one of the easiest roads to Chitral. The pass is closed in wintertime. The Lowari tunnel is expected to be completed in 2017. 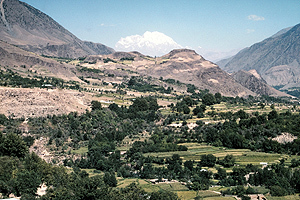 The Tirich Mir (or Terich Mir) is with 7708m the highest mountain of the Hindu Kush. 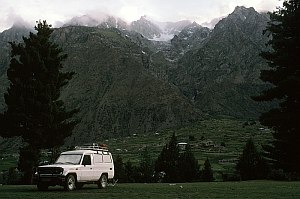 It dominates the views in the area around Chitral. All pictures are taken with an Olympus OM4Ti with Zuiko lenses on Kodachrome 64.